Welcome to Dewhursts Wallpaper, the perfect place to shop for feature wallpaper and buy wallpaper online. Keep up to date with the latest trends and statement wallpapers. Pick up decorating tips and advice with our easy to use website and browse our wide range of wallpapers. We have something for everyone, from modern wallpapers to traditional wallpapers, kitchen and bathrooms, childrens wallpapers, heavy Italian vinyls and textured paintable wallpapers. A feature wall floral in lovely soft pink and grey tones. Perfect to brighten up any bedroom. A gold geometric design, this design is an ideal feature wall pattern for any room. A more striking colourway in the Hares range. With a dark green background the white overlay of the woodland design with Hares really stands out. 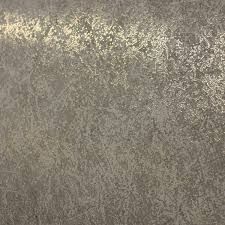 A slightly textured striking damask design ideally for a feature wall in grey and white with a hint of sparkle. 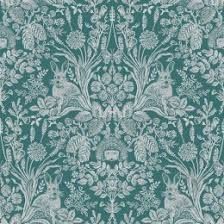 Bambara Leaf in this Teal colourway is currently my favourite design! The teal and silver combination really work well together creating a lovely leaf design. A busy design but in soft grey tones that give a more subtle overall look. A woodland design with grey hares ideal for a feature wall in any room. WOW! Roses Are Red!! A definite design for a feature area, this wallpaper creates a sea of beautiful red roses. Very Striking! This design is definelty set to make a statement. Bold & Stunning! Labyrinth - a strong design in a beautiful gold colour creating a maze type of design on a Navy background. My personal opinion is that the background is a more chocolate brown so maybe a sample would be advisable. Stella Neutral is a paler version of the Heather colourway, a very clean and crisp design and colourway. 3 colourways available in this Cork Trellis range. This version is the darkest in various greys with a hint of silver showing through on the background of the cork effect. A grey & rose gold version of this sophisticated geometric design. These 2 colours really compliment each other creating a beautiful warm look. Stella Blush is a brighter colourway showing off more coral pink tones rather than pinks/purples. Get A4 wallpaper samples sent straight to your door. Priced at just 25p per sample delivered! !